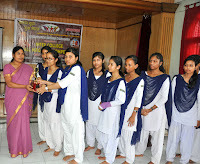 A 3 Days Residancial Peronality Development Camp for college students of Saumar Bhumi Bivag , held as"Sarthak Yuva Samartha Bharat"at Vivekananda Kendra Dibrugarh as a part of yearlong celebration of birth centenary of Mananeeya Eknathji Ranade-The man behind Vivekananda Rock Memorial and founder of Vivekananda Kendra.It was a residential camp where the participants were source from the Yuva Samparka events such as wall magazine competition,written quiz competitions ,Yuva sammelan etc. 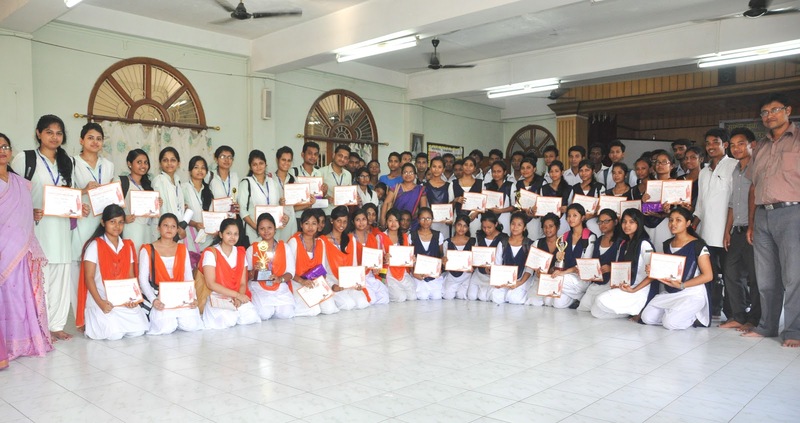 previously held in different colleges of Tinsukia district,Dibrugarh district and Sivasagar District. Group photo of all the participants along with the organising Karyakartas. 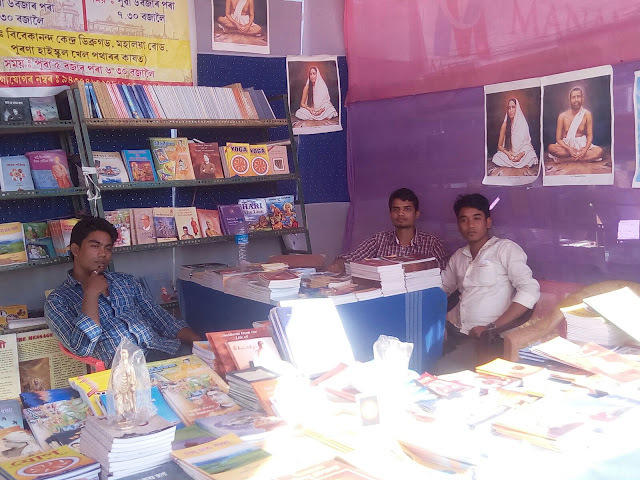 VIVEKANANDA KENDRA DIBRUGARH, SHAHITYA SEVA-BOOK STALL AT "9TH DIBRUGARH GRANTHA MELA"
MILAN JYOTI SANGHA CLUB OF MILAN NAGAR, DIBRUGARH, ORGANISES A GRAND BOOK FAIR AS " 9TH DIBRUGARH GRANTHA MELA"
YUVA KARYAKARTAS of Vivekananda Kendra Dibrugarh at V.Kendra's book stall in the book fair. 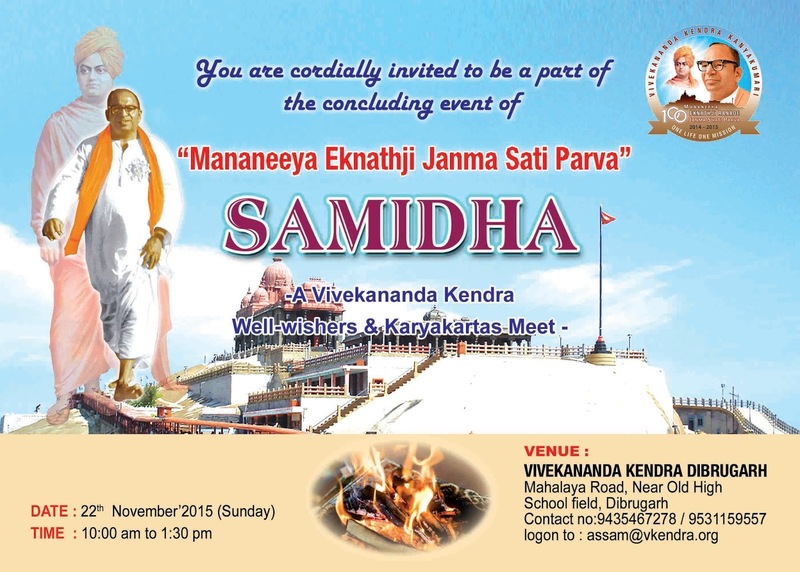 ORGANISED BY: VIVEKANANDA KENDRA, ASSAM PRANT & JB M VK Hospital, Shuklai. LOCATION: SHUKLAI, DISTRIC –BAKSA, BODOLAND, ASSAM. DOCTORS TEAM: Nine doctors from Mumbai led by Dr. Mahesh sanghavi which includes four surgeons, one anesthetist, four pre-op & post-op doctors and one sister. Travelling expenditure of Doctors’ team was sponsored by “Gokul Braj Foundation and Hari Om Group” of Mumbai. 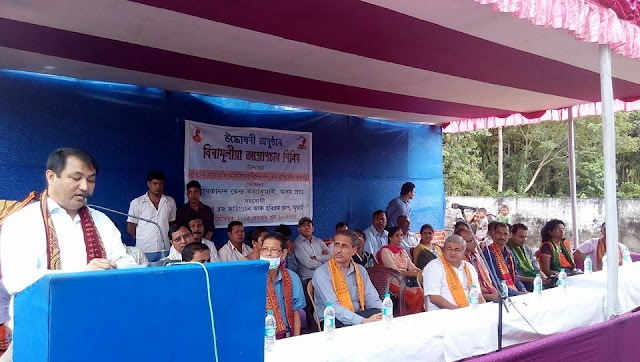 The camp was ceremonially inaugurated by Sri Ganesh Kachari, E.M.(Health) of BTC on 20th september’2015 .During the inaugural function the Doctors were introduced and felicitated by the organizing representative in a traditional way of Bodo community by offering “Arnai “ before a gatherings of local people, patients and medical staff. 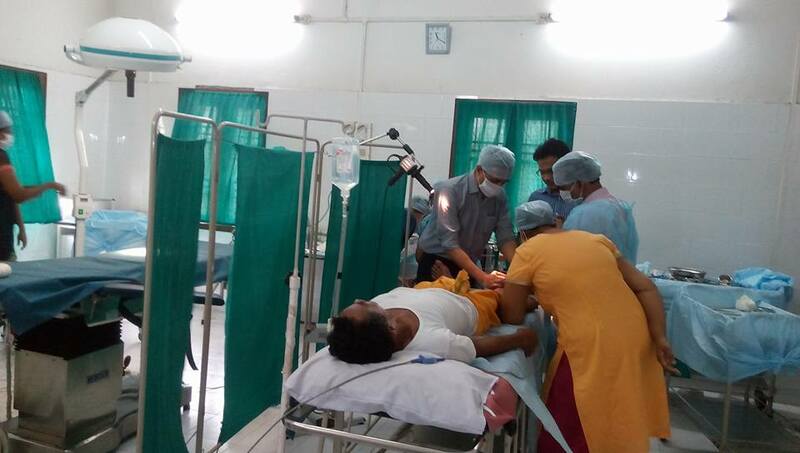 Shuklai is among some very interior places of north east where peoples are very much deprived from adequate medical facilities. 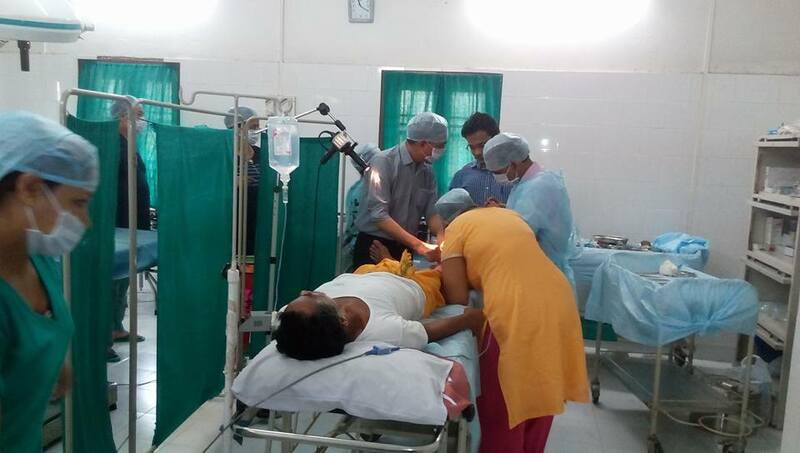 Our three days surgical camp conducting 63 nos. of successful surgeries was much needed for the beneficiaries and very much appreciated by the local people. 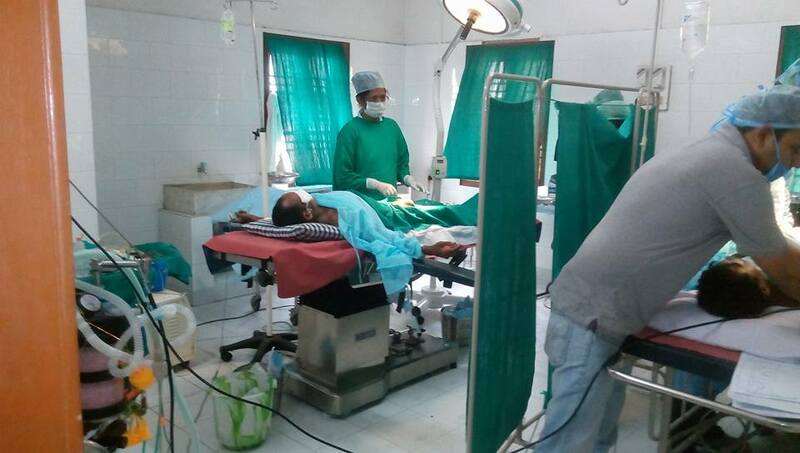 The doctors’ team from Mumbai has conducted all the 63 surgeries very successfully. No post operative complicacy is reported. Dr. Mahesh Sangavi, who led the doctors’ team from Mumbai express his willingness to conduct such camps with Vivekananda Kendra frequently in the future. He also assured us to provide all assistance and support whenever required in future. Vivekananda Kendra, Dibrugarh organizes an inter college Wall Magazine competition within Dibrugarh district and a youth convention for college students on 15th September’2015 in connection and continuation of yearlong celebration of “Mananeeya Eknathji Janma Sati Parva”. INTER-COLLEGE WALL MAGAZINE COMPETITION: The inter college wall magazine competition was based on the topic of “The story of Vivekananda Rock Memorial” on which students from different colleges within Dibrugarh district participated with great enthusiasm and exhibits their creative skills in forms of poetry, articles, pictures ,sketches etc. in a very decorative fashion. 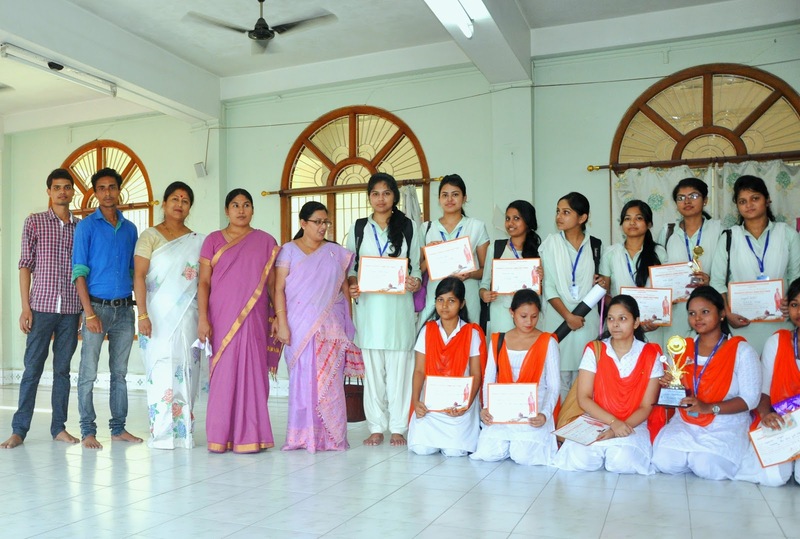 The study materials and guidance were provided to all the participants in the competition almost one month prior to the competition during college samparka by Vivekananda Kendra karyakartas. 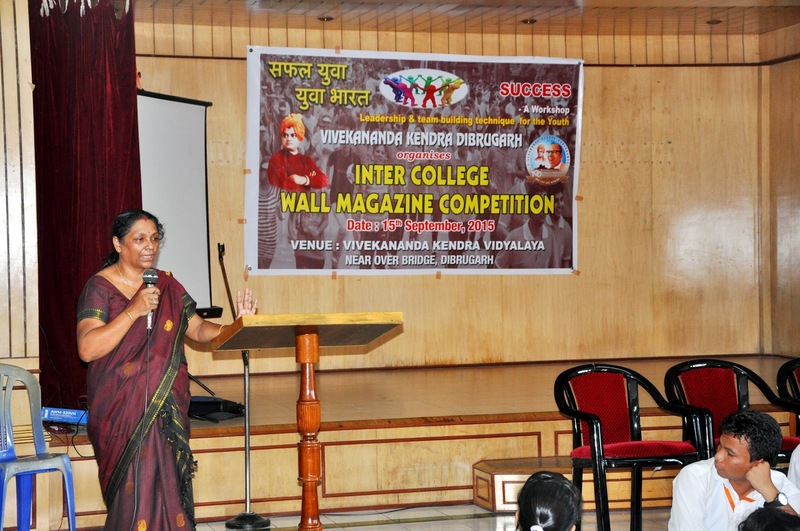 Inaugural Ceremony: The Wall Magazine competition was inaugurated by Dr.Subharani Sarma, Prant Pramukh of Vivekananda Kendra Assam Prant by lighting the lamp followed by vedic chanting by Vivekananda Kendra karyakartas. In her inaugural speech she appreciated the entire participant for their creative skills and emphasis on importance of youth’s power and its role for nation building citing Swami Vivekanand’s confidence on youths. Smt. Minu Buragohain, Ex-Professor, DHSK College, Dibrugarh. Sjt. Lakhyajit Buragohain, Asst. Professor, Dibru College, Dibrugarh. Sjt. Debakrishna Baruah, Asst.Professor, Gururkul Junior College, Dibrugarh. 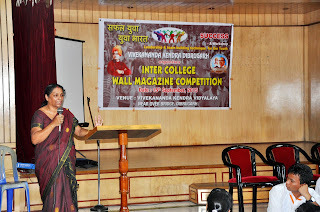 Wall magazine competition is followed by a vibrant youth convention with all the 100 nos of participants of the competitions. The convention begins with Tin Onkar, Vedic Chanting and patriotic song which is followed by welcome speech by Sri Ravindranath Savdekar, the principal of VKV Dibrugarh. We also conducted games sessions, creative sessions, group discussion and interactive session on “safalata and sarthakata”, concluded by a inspiring lecture session by Dr.Subharani Sarma, Prant Pramukh of Vivekananda Kendra Assam Prant. Prize distribution ceremony and judges briefing were done at the end of the convention. CONCLUSION: It was very much satisfying to see the youth’s involvement in all the sessions of the convention. The way they participated, the way they maintained discipline during the sessions, the way they express their thoughts and feeling etc, it appears to be a fruitful youth convention. 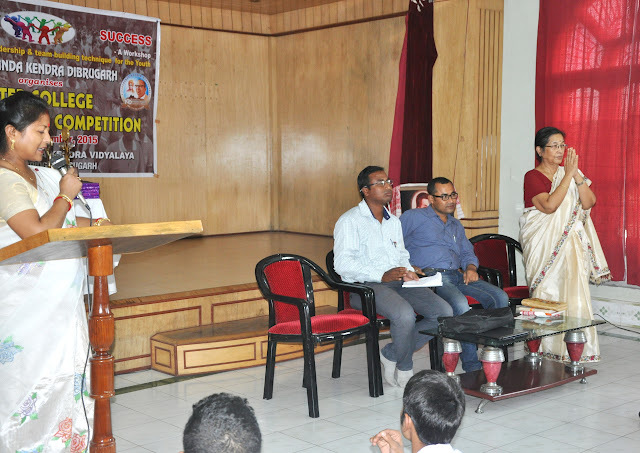 To sustain this tempo further more in a purposeful way a three days residential Personality Development Camp for the participants of the convention is also decided by Vivekananda Kendra, Dibrugarh to be held from 3rd December'2015 to 6th December'2015 at Vivekananda Kendra, Dibrugarh Branch.